VATICAN CITY (CNS) — The Vatican will host a fast-paced gathering of students, developers and entrepreneurs from around the world that aims to find high-tech solutions for complex global issues. While issues addressed at the March 8-11 “VHacks: A hackathon at the Vatican” conference include the migrant and refugee crisis, the focus will be on viewing the problem from a different perspective, said Jesuit Father Michael Czerny, undersecretary of the Migrants and Refugee Section of the Vatican Dicastery for Promoting Integral Human Development. “When we talk about migrants and refugees, we tend to talk about it in vast terms as if it were a huge problem or a so-called global problem. But in fact, it’s a collection of very individual problems, particular problems of persons and of families,” Father Czerny told Catholic News Service March 8. Several tech giants, including Google and Microsoft, are sponsoring the 36-hour hackathon, which “is a sprint-like event in which multi-disciplinary teams (including computer programmers, graphic designers, project managers, etc.) collaborate to create solutions under a time constraint,” a statement from VHacks said. The 120 students attending the conference, including five students from Georgetown University, will seek to use technology to address other issues such as social inclusion and interfaith dialogue. Speaking at a press briefing about the event, Msgr. 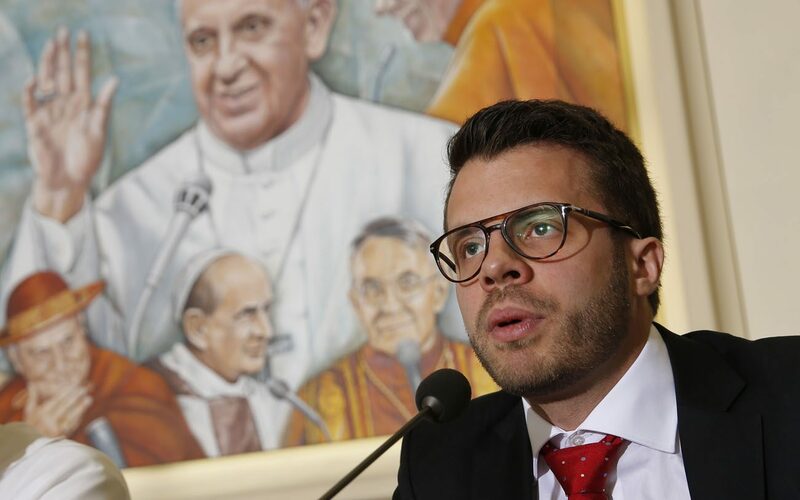 Lucio Adrian Ruiz, secretary of the Vatican Secretariat for Communications, told journalists the idea of hosting a hackathon “was very important” for the Vatican and especially for Pope Francis. Father Czerny told CNS that although the conference may not solve the migrant and refugee crisis on a global scale, he hoped it would use technology to come up with solutions for individuals such as apps that can help migrants find lost documents or a place to stay.